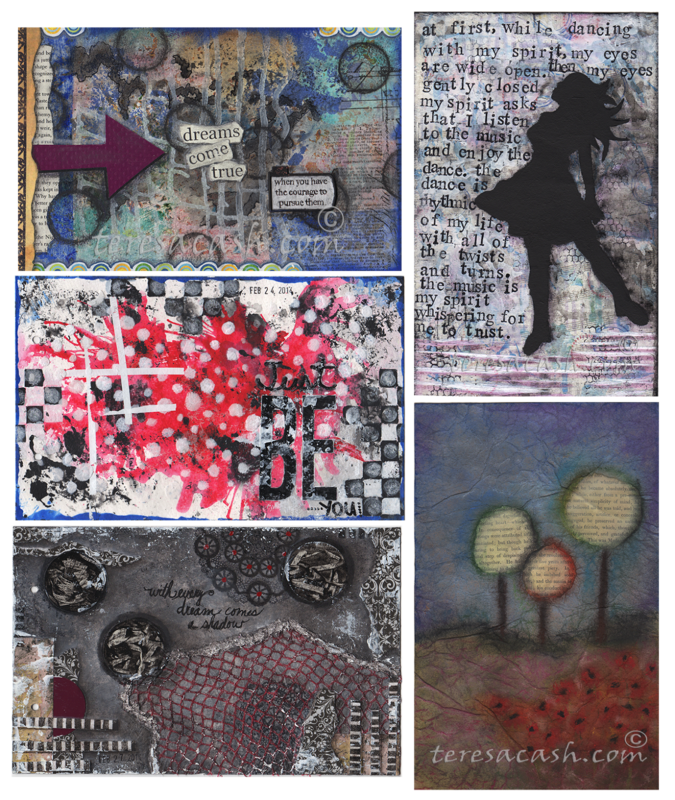 I have 5 more pages added to my "Create Art with Abandon" journal that I want to show you. The purpose of this book is to create just for the fun of creating, without any expectations. That is what I am doing and it is so liberating. All the while I am gaining experience. Most of these pages started from left over paint from my brush or pallette that I didn't want to waste. If I have a feeling I want to express, I create art about it. If I learn a new technique, I create art with it. Through this process I am learning who I am as a artist and I am ever so grateful for this opportunity. One day I will emerge from my cocoon just like a butterfly! In the meantime I will continue to create art with abandon! Thanks to all of you for your encouraging words and support. I truly appreciate it!